The website that Air Force families turn to for discounts, coupons, and other money-saving deals is MyMilitarySavings.com. In fact, we’re the #1 website for savings that military families from all branches have turned to since 2011. We understand the financial challenges faced by today’s military families, and we are dedicated providing you with the resources you need to save valuable time and money. For example, you can find out what’s on sale before you go shopping so you can plan your purchases, and we even offer a free digital shopping list app so you can create a list and print it out or access it on your mobile device. Manufacturer coupons – We offer exclusive coupons from some of your favorite brands like Kraft Foods, Johnson & Johnson, PepsiCo, Kellogg’s, and many others. DeCA coupon site – Our quick links to the Defense Commissary Agency (DeCA) provides you with easy access to your Commissary Rewards Card so you can clip and load valuable coupons onto your reward card. Hot Deals page – Never miss special deals on quality meats and produce when you check our Hot Deals page. Special promotions – Find savings on the purchase of cars, furniture, vacations, and more from retailers as their way of recognizing your service. 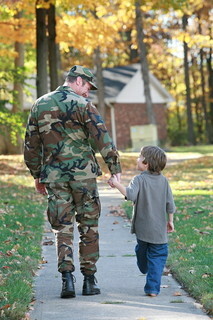 Join MyMilitarySavings.com today to learn more about these discounts for Air Force families and all who serve our country. We’re committed to helping you serve, save, and enjoy, so visit our sign-up page today.